To make sure you’re connecting. How many people are you trying to connect with whose contact details may have changed? You have no way of knowing unless you reach out to your database. As part of an effective overall customer retention strategy, reconnecting with past and current clients to make sure they’re still “live” will lead to more referrals and less time spent chasing cold leads. To get the most out of your content marketing. An out-of-date mortgage marketing database hurts your email marketing efforts. You also get an inaccurate picture of your buyer personas, harming your persona-based nurture campaigns. Also, kickback of messages to outdated email addresses stand the risk of being flagged as spam, putting your company on a no-send list. Data management is key to automation success. Successful automated mortgage marketing relies on the accuracy, completeness, and validity of the data the software will run on. Outdated, inaccurate, and/or poorly integrated data compromises the core objective of marketing automation: creating relevant, timely, and engaging communications. All great mortgage marketing starts with the strong foundation that a healthy database provides. 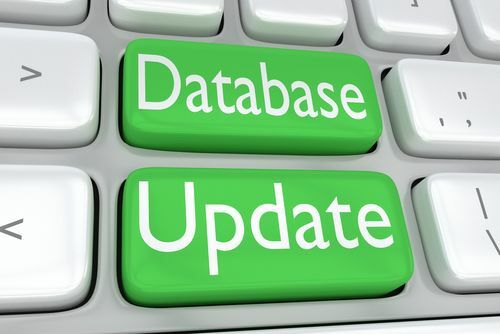 As you work to update your database and improve the quality of your company’s contact information, you’ll ultimately see an increase in conversion rates. That means more effective marketing campaigns, better lead nurturing, and quality leads who are ready to learn more about the products and services you offer.